Less than two weeks into the free month trial of the much hyped Netflix Canada, I cancelled the service to avoid risking being charged a single penny for a service that is devoid of content. If they really wanted to make a difference in Canada, they needed to go live with content from the start…not just videos you would find in the stack of VHS tapes the local libraries can’t even give away by the checkout counter. 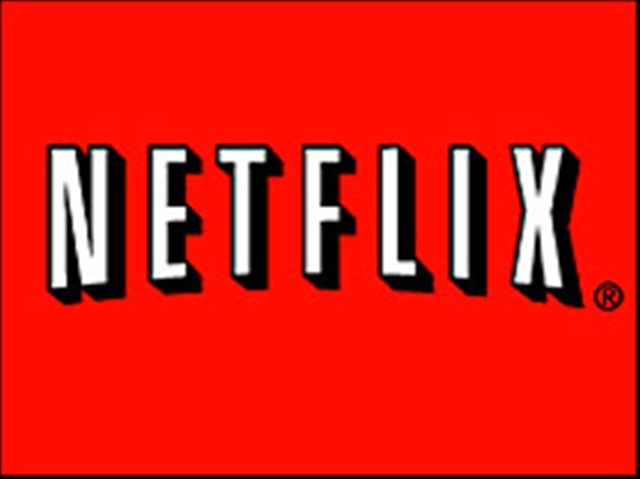 Netflix is popular in the United States, where it began as a service in which you could rent DVDs by mail. In the past year they added streaming content which was provided for free to any customer who already had an account to rent at least one DVD by mail each month. In their foray into the Canadian market, they opted to only provide the streaming content and I use the term ‘content’ rather loosely. Because of the lack of a physical DVD, they promoted the service is being $1 cheaper per month compared with our U.S. counterparts. What they failed to advertise, and their paid actors who showed up at the press conference to launch the service, is that aside from an occasional gem that slipped through (eg Mad Men; albeit not including the current season) there is nothing worth watching. Although they annoucned carrying all old episodes of Saturday Night Live, a search on the Canadian site didn’t find any maches. Similarly, you would think This Is Spinal Tap has been around long enough that you would find it on Netflix….nope. Streaming content on demand will be in everybody’s future, but Netflix has certainly proven that they are not worthy contenders….so who is? The 2nd generation Apple TV was released last month, priced t $119 in Canada, just above that appealing $99 impulse price in the States. Great in that it allows live streaming from other Apple devices in your household as long as they are on and they have their iTunes launched. It also allows renting shows, since it has no storage space to buy any shows or movies - perhaps an achilles heal rather than a selling feature. Apple is betting on the lower cost of a rental being something that will lead customers in droves to download, however network TV is staying away from making content deals….just a couple have agreed so far. In November we will have the Boxee Box. A higher resolution device than the Apple TV, capable of storing media so purchasing or ripping your own is possible, full range of codecs including many the Apple TV can’t handle, and apps to get other content. However, this will also depend on content deals and app creation to tap into all potential media sources. I’m placing my bets on Google TV, the Logitech Revue, but the wait will be painful for Canadians. It will not likely launch til late 2011. Google TV holds the promise of pulling together media regardless of where its coming from, something the Boxee Box comes close to doing as well. The extra plus though is that it will also connect directly with your cable or satellite provider’s digital PVR so that your searches for media will include the content of your PVR and its program guide for upcoming shows. Of course, this will fail if Google does not reach agreements with all the media providers in Canada to interface with the Google TV. So, please Shaw, Telus, Bell, Rogers, Videotron and any other providers in our country, I hope you can negotiate with Google to interface with the Google TV. Help me Google TV, you’re my only hope. Great article. I've been watching the Netflix stock, currently trading @ 156 US. Assuming that Google is successful, can we anticipate a similiar stock increase price for Google? Unfortunately, with today's report in Reuters' it appears that NBC, CBS, and ABC (including their subsidiaries) are looking at blocking access of their full episodes on Google TV. This would mean that not even Google TV will be worth buying. All systems, at least as of today, are failures even though we have the technology for integrated greatness. Netflix has been slowly and steadily improving it's content (you can now find some "best of" Saturday Night Live content on there, for example) and my family already finds it an awesome value at $8 per month. That said, I think it's just a matter of time, regardless of who the provider is. Netflix is really the first company to start assembling a la carte streaming rights from so many different companies in Canada, and many of the distributors are wary of what this will do to their traditional businesses. Slowly, as digital distribution becomes mainstream, the rights-holders will start getting on board (just like it took time in the US when they first started streaming) and the services will get better. In the meantime, I'm really happy with what I've already seen from Netflix and love that we're finally getting some service like this, albeit not perfect yet, in Canada. It will be difficult for the majority of the service providers you mentioned to go with google tv as they already have significant investments in Microsoft Mediaroom. Telus, SaskTel, Bell, Bell Alliant, Thunderbay Tel and Manitoba Telecom have all deployed or are about to deploy Microsoft Mediaroom offerings. Shaw in its latest quarter results are losing customers hand over fist to telus tv which has never been an issue before but I’m sure they will not rest on their laurels and when I called to cancel recently informed me that whole home pvr is coming soon. Not exactly sure how they will do that without connected devices but maybe apple tv or google tv is a willing partner. That said I wouldn't be surprised to see them also jump on the Mediaroom bandwagon. I think Boxee is DOA already. Apple Tv has a lovely interface and Google TV linking to direct tv with hdmi and having the logitech camera sitting on the top of the tv is just genius. The challenge however as you point out with all of these OTT offerings is content. I agree with you that Netflix content is pretty slim pickings right now. However what they have done an amazing job at is developing interfaces for a multiude of devices. There is the silverlight , iphone t, ipad , wii, ps3, windows phone 7 and as of yesterday xbox360 to name a few. The other clever thing is having a single identity across these platforms. This is something that apple has also done a great job of but service providers really struggle with. In short I think it’s a little premature to write off Netflix just yet and for $8 a month versus $7 a movie on a service provider offering it’s not that hard a sell.